We are occupied in presenting a wide range of Packaging Mould that meets on client’s demand. Over 3 decades of manufacturing a variety of sheet metal components and fabrication, Suyash today is in a position to become a reliable partner for sheet metal components & assemblies. 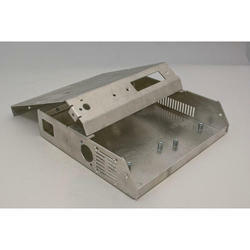 Anand Tools and Equipments uses the best quality of sheet form metal from one of the best companies. We use Stainless Steel, Aluminium, Special Galvonised and a few other types of sheet material. 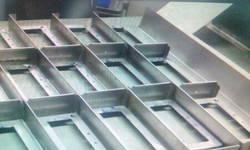 The Sheet Metal Division consists of Laser cutting (Bystronic), Turret Punch Press (Amada), Precision Bending Machines (Amanda) and a host of Welding stations like MIG, TIG, MMA, Resistance and spot. Material:Aluminum, Steel, Stainless Steel Surface Finish:Anodize, Powder Coating, Polish, Zinc Plated Custom Made Available.